Welsh Land Transaction Tax - Are you ready? Welsh Land Transaction Tax – are you ready? Peter Oakes of easy convey writes about the major change in stamp duty due in Wales in April, and the implications for conveyancers. How does the conveyancer report LTT to the WRA? At the moment this will be through a web site on which the conveyancer will have to re-key information from a practice management system, unlike SDLT where returns are filed electronically directly from the conveyancer’s case management system (CMS) to HM Revenue and Customs. This is a seamless system involving very little input from the user on most standard transactions as the detail has already been entered as part of the conveyancing process. The system generates the certificate which is used to register the transaction at the Land Registry. 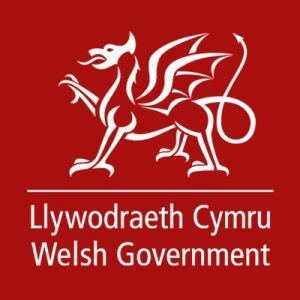 Software suppliers have been waiting for the WRA to consult regarding the practical ways the return in Wales could be filed electronically via their CMS. There was some consultation in December but as yet there has been no further communication. It is now highly unlikely that software suppliers will have the time to replicate the SDLT routine even if there were a service provided by the WRA tomorrow. Their consistent answer has been that the number of transactions do not justify the expenditure. This does not help the conveyancing practitioner in today’s electronic world and will be seen as a retrograde step. Conveyancers are faced with a further problem in that there is land that straddles both England and Wales, meaning both SDLT and LTT would be due. It has been suggested that in these cases the tax should be apportioned between LTT and SDLT depending on the percentage of the land in each country. Independent surveyors would be required to determine the percentages. Again, we await the outcome of consultations which have taken place. We are now just over two months from the introduction of this tax and there are many unanswered questions. When will government departments realise that such radical changes to software systems need more than a few weeks to sort out? How long have they known that this tax was to be devolved?